InfoSAWIT, JAKARTA -In the early of 2018, the discussion was held by Center for International Forestry Research (CIFOR) together withAliansi Sawit Indonesia (ASLI) andSerikat Petani kelapa Sawit (SPKS). It discussed some issues about the sustainable practices in palm oil plantations. The problems were inappropriate sustainable cultivation based on standard operating procedure (SOP) which the government published, the smallholders had no competitive skills to cultivate their plantations and made their productivity small in number still for they cultivate theirs as what they know. CIFOR, an international forestry research institution, also noted that the (independent) smallholders’ plantations reached about 4,7 – 5,6 million hectares. 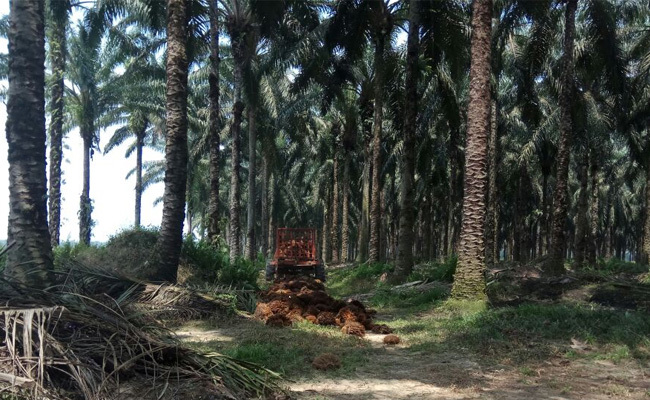 Their plantations play important roles in the production and export from Indonesia. The result of the research showed that the independent smallholders having less than 3 hectares found some challenges, such as, the small productivity, the legal, the fund access, and the information. On the other hand, the markets demand the palm oil products free from forest and environmental damages. This could be done, such as, by implementing the sustainable practices in Indonesia version, that is, Indonesian Sustainable Palm Oil (ISPO). To compete in the European markets, it needs the sustainable certification, that is, Roundtable on Sustainable Palm Oil (RSPO).